To pull off the greatest art heist in history, Vincenzo Peruggia didn't need high-tech gadgets, only patience, time and some inept police. 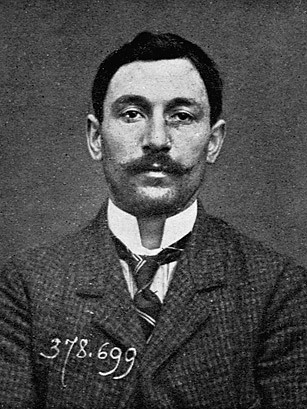 In 1911, Peruggia hid overnight in the Louvre in Paris, and when the museum was closed, he removed Mona Lisa from the wall and stuffed it under his smock. To leave, he simply strolled past an unattended guard station and hid the painting in his apartment. Police questioned Peruggia and accepted his alibi that he was working elsewhere when the painting went missing. After keeping the painting hidden in a trunk for two years, Peruggia took Mona Lisa to Italy. When he tried to sell it, a gallery owner turned him in. Mona Lisa was exhibited all over Italy and returned to the Louvre in 1913. Peruggia, who claimed he stole the painting out of a patriotic desire to return it to Italy, served a six-month jail sentence before being released. He joined the Italian army and fought in World War I. He got married and moved back to France, where he ran a paint store until he died in 1925.